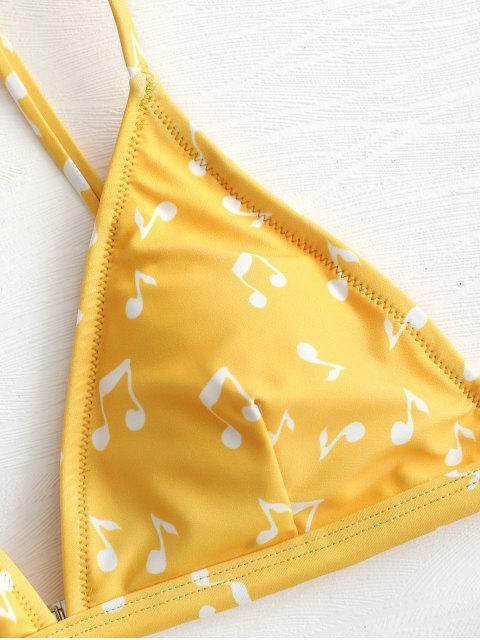 [33% OFF] 2019 Music Notes High Cut Bikini Set In RUBBER DUCKY YELLOW | ZAFUL .. Featuring unique musical notes pattern throughout, this bikini set is designed with a classy triangle top and a pair of high cut briefs to complete the look. The bikini top has removable pads inserted for a comfortable support and the slender shoulder straps are adjustable that you can adjust to the perfect fit.